An article written at the end of 2015 says that Reading is growing faster then London. It stated that: Reading is expected to out perform most of the country in terms of growth in the coming years. A recent economic forecast by EY Economics for Business, a part of Ernst & Young which provides analysis for businesses says Reading will grow faster than London in the next three years. In the next three years ... it's only the second year and this town has had some big changes. There have been big store openings (Ikea) and lots of improvements (rail station). There are these big changes and then there are the little ones like the many restaurant openings I have been invited to in the past 6 months! Tucked a way in a quieter part of town on Duke Street opened an alternative solution to the common question of what to have for lunch today? Wrap it Up! opened up earlier this year and I had an opportunity to stop in when I was wondering around town one day! 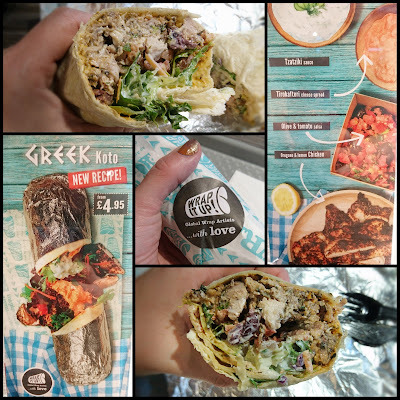 It wasn't hard for me to decide which wrap to try... 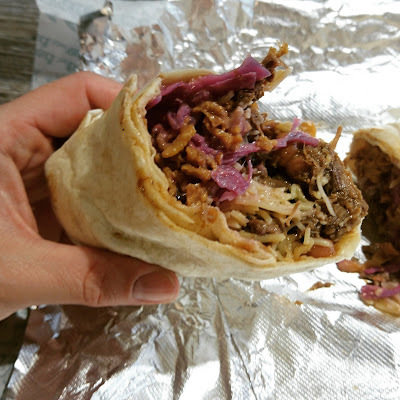 I mean come on I am an American so I had to try the American smokey: slow cooked pulled beef brisket filled with Boston beans, crunchy gherkin slaw, grated Monterey Jack cheese, and crispy onions. 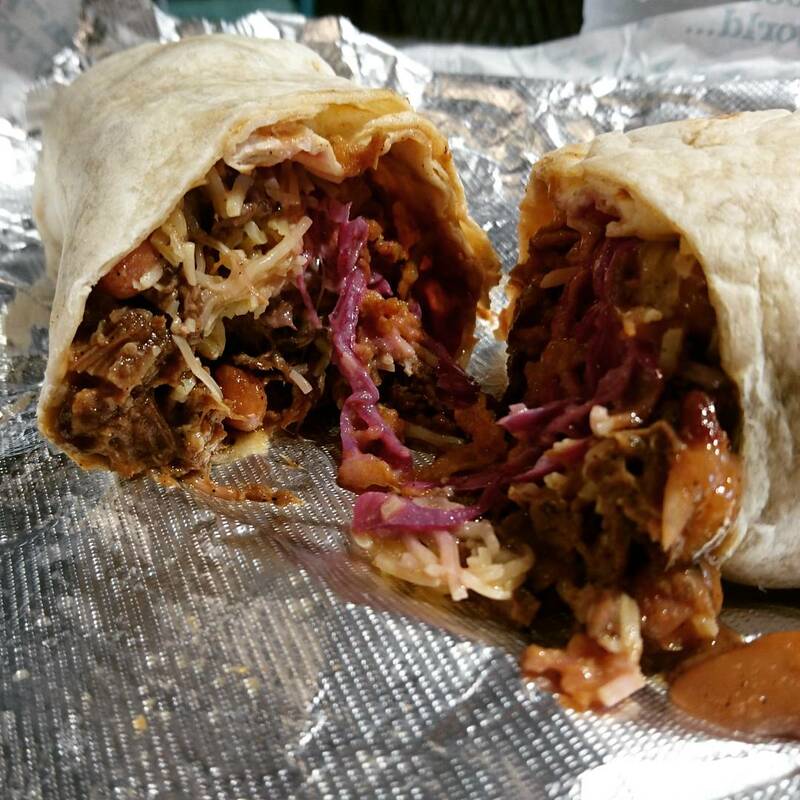 The best thing about wraps is that it is literally your lunch (breakfast or dinner) wrapped up in one soft tortilla! The American one had it all for me, well seasoned beef brisket with the the softness of beef and the crunchy slaw it satisfied taste and texture! No extra sauce was needed, if you know me I like my dips and sauces, but this needed nothing else! The menu is full of creative and great sounding wraps! I can't wait to visit again and try something new, although I did love this wrap and would be tempted to get it again! They also have breakfast wraps and cater for offices - visit them or the website for more information! There is no denying that Reading is growing and I am all for that if it means more great places to get a bite to eat! 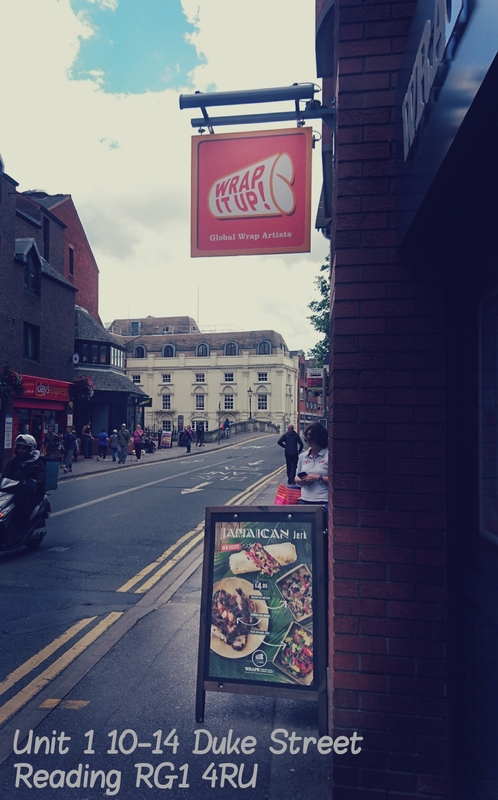 If you have a day wondering around town like I did or need an all-in-one lunch for a quick lunch break why not give them a visit? If you do or already have let me know which wrap I should try next in the comments below! UPDATE - I made a second visit to Wrap it Up! and ordered the new Greek Koto and was not disappointed! The best thing about these wraps is they have everything you need in one wrap and the flavor combinations are amazing!! I will be visiting again!! *I was asked to visit and provided with a voucher to try a wrap of my choice, no other compensation was given - all opinions are my own please see my content/policy page for more information. This looks amazing! 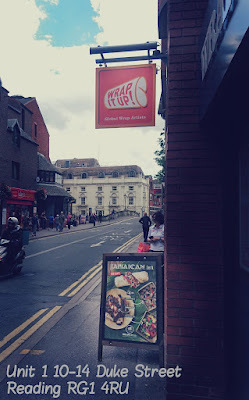 I will HAVE to try this place for lunch the next time I am in reading! Definitely worth a trip! 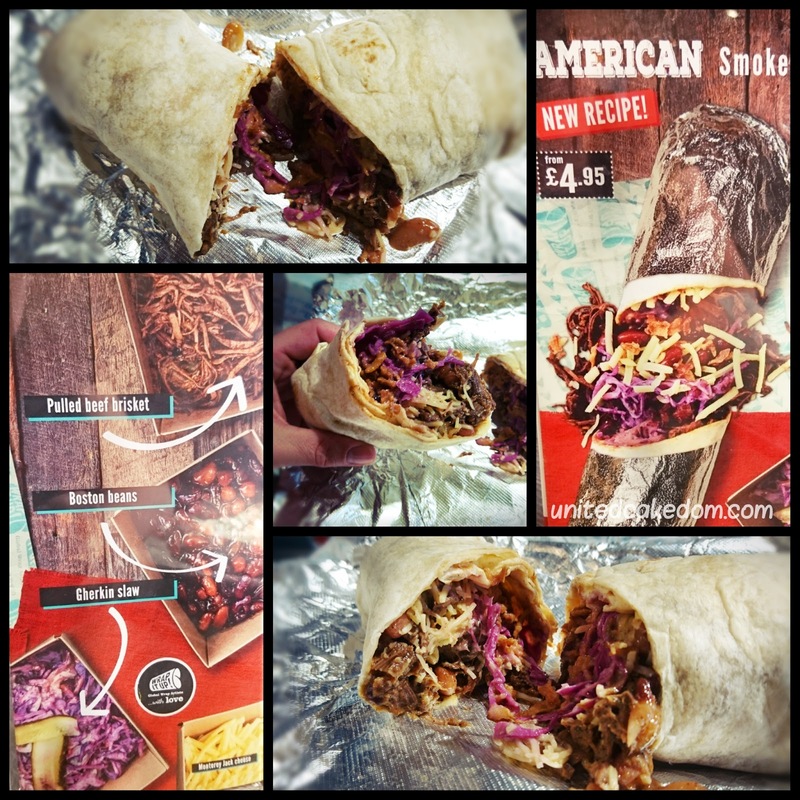 There are so many different wraps to choose from!